Robert (Bob) Holstein in "The Tent" at the Ignatian Family Teach-In for Justice. Bob founded the IFTJ in the late 90's to bring the Jesuit network together during the annual vigil to protest the School of the Americas. The Jesuit martyrs and their companions. Throughout 2014, ISN distributed over 40,000 prayer cards featuring these images of the martyrs. The images were originally painted by Rockhurst University alumna, Mary Pimmel-Freeman. Ignacio Ellacuria, S.J., Segundo Montes, S.J., Ignacio Martin-Baro, S.J., Juan Ramon Moreno, S.J., Armando Lopez, S.J., Joaquin Lopez y Lopez, S.J., Julia Elba Ramos, Celina Ramos, are killed at the University of Central America in San Salvador, El Salvador. 19 of the 26 Salvadoran soldiers responsible for the murders received training at the U.S. Army School of the Americas (SOA). The power of the gathering is reflected in the action of going to the gates of Ft. Benning and protesting the tragedy of the death of the six Jesuits and their two women companions, but much greater is that when these students and members of the Ignatian family return home, they are committed to changing unjust structures. 2012 | Don MacMillan, S.J. Crosses used to remember the UCA martyrs and others killed by U.S. trained foreign military at the School of the Americas Watch vigil and protest. A growing number of people hold vigil at the gates of Fr. Benning. 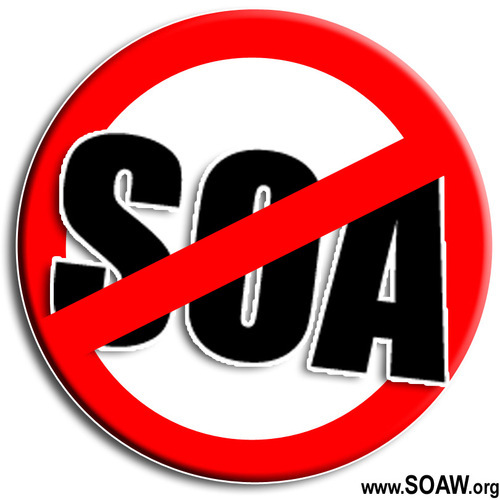 School of the Americas Watch (SOAWatch) is founded in 1990 and begins to organize the annual vigils. The first Ignatian family gathering takes place at a hotel in Columbus, Georgia. The Ignatian Family Teach-In for Justice takes up its home in “The Tent” which has since become the symbol of ISN. Sitting at the edge of the Chattahoochee River in downtown Columbus, rain or shine, the tent became an important part of the Jesuit institutions’ time in Georgia to protest the School of the Americas. At the end of the Teach-In every year, the tent comes down and the question is, “Where does this go from here?”…Can the tent be expanded? Can it actually cover a larger venue? A larger venue and more powerful venue to respond to Pedro Arrupe’s challenges to become agents of change. To really attack the unjust structures of society. That’s a real, open question. 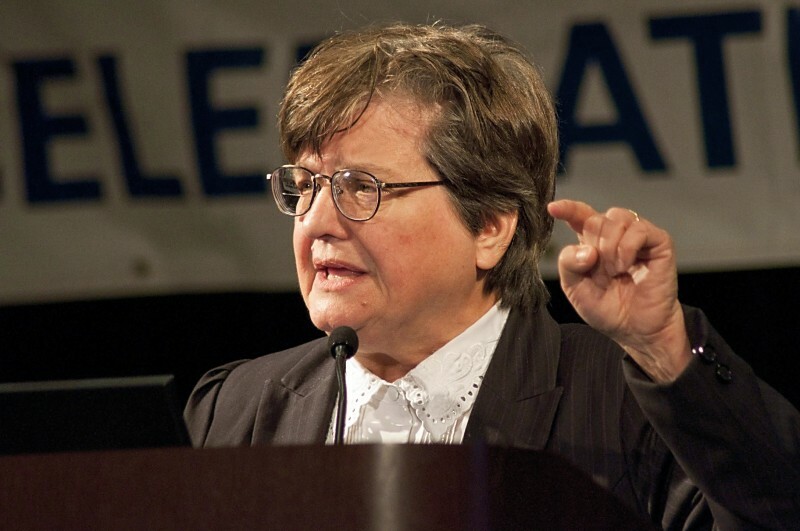 Sister Helen Prejean, C.S.J., speaking at the Ignatian Family Teach-In for Justice in 2010 in Washington, D.C. She returned to the IFTJ stage in 2015. Everyone loved the Pope Francis selfie station at IFTJ 2014. The Teach-In moves from the tent to the Columbus Convention Center. 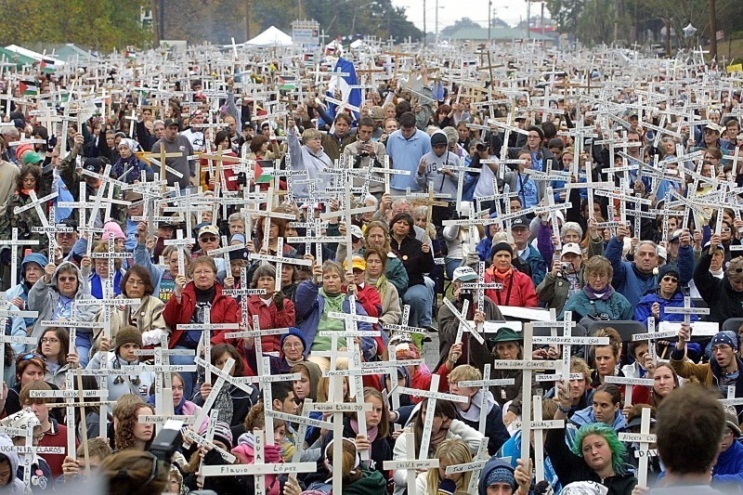 Over 3,000 people attend the Saturday Mass. 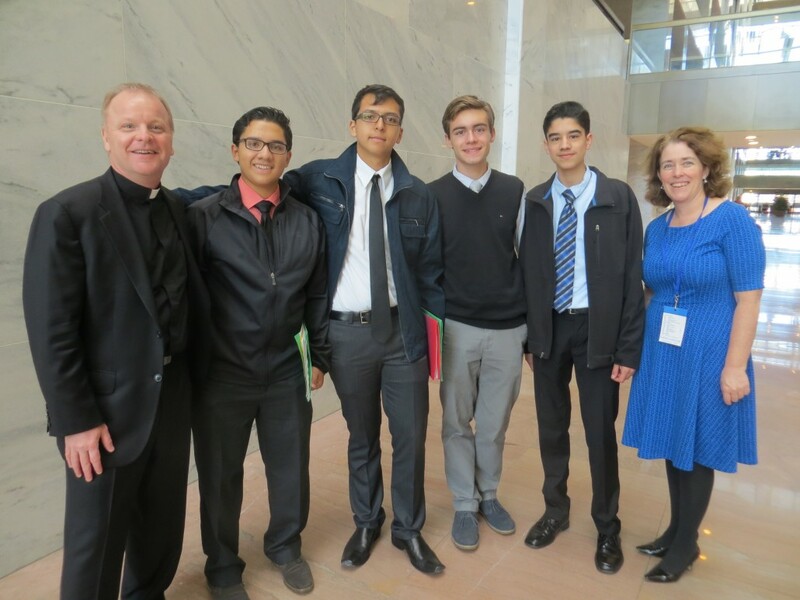 The Teach-In moves from GA to Washington, D.C., and engages the Ignatian family in new and exciting ways including legislative advocacy on Capitol Hill. Nearly 1,200 people attend the Teach-In and over 800 individuals participate in 130 meetings in 60 different congressional offices on the final day of the Teach-In. A record-breaking 1,700 people attend the Teach-In, and over 1,200 people head to Capitol Hill on advocacy day to advocate for immigration reform, environmental justice, and U.S. policy toward Central America. Energy continues to grow for IFTJ 2019. Will you be part of our history? We talk about faith doing justice. This is a concrete expression of that justice dimension. ISN, through the various Teach-Ins, is a constant highlight for those of us in Ignatian and Jesuit ministries that what we are doing should have some fruit. That there’s a world out there, which needs change, which needs a different perspective to bring about justice.